Golden eye, fine nose. In the mouth subtle notes of oak - the finish round. The Terres de Grande Champagne Francois Voyer VS Cognac is a great, young blend that boasts a smooth, delicate bouquet of flowery tones such as linden and violets. These linger on the nose, with tones so typical of a cognac that comes from Grande Champagne. A lovely, golden copper colour - a cognac that can be enjoyed as an aperitif or digestif, but is also great when combined with a mixer or in a cocktail. The 28 hectares of vineyard are situated in Grande Champagne region, the 1st Cru of Cognac, renowned for its profound after taste, its aromatic power and its ability of long ageing. Voyer Cognac is a family run cognac domain that is passionate about every detail in making cognac - their cognacs can be found in the best restaurants in France (Ducasse, Lucas Carton, Laurent). The vineyards are in Verrières and Ambleville; the house has been in the business since the 1870s. The product range is classical, with young and old blends for those who don’t like to follow the crowd. 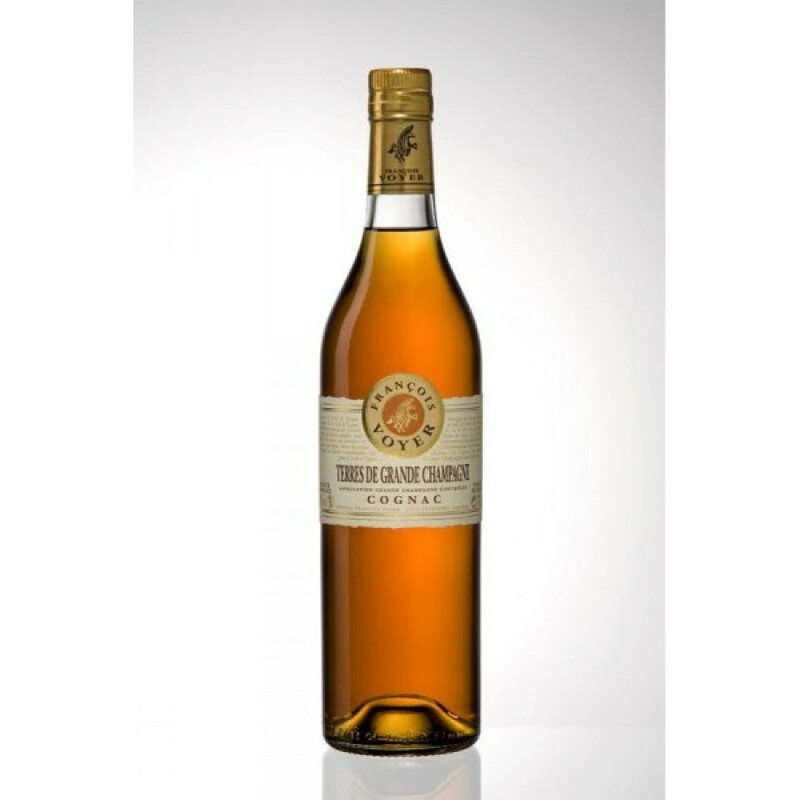 Cognac Francois Voyer also offers a range of exceptionally old vintage bottles. Voyer's exceptional knowledge and attention to detail allows to not just make fine cognac, but to craft cognac. Tasting review: Eye: Deep, old gold color Nose: Exceptionally complex - spicy (cinnamon & cloves) combine with light fruits and cigar box Palate: Nutty, dried fruits, vanilla, with a delightfully complex and exceptionally long finish. The quintessence of the aromas of the Grande Champagne: a cornucopia of fine and powerful notes:  coffee, cacao, spices (clove, cannel), delicate tinges of dried fruit... Exceptional fragrances boosted by the "fire" of Grande Champagne. Eye: Dark, amber glow. Nose: Flowers and dry exotic fruits such as mango, sweet spices such as cinnamon and vanilla, and peppery notes towards the end. Palate: Coffee and chocolate, cinnamon and cloves. Tasting review by Le Reviseur: Old gold color. A fresh nose with hints of plum and almonds, evolving towards notes of leather. On the palate is light, balanced, and pleasant. Tasting review by Leopold Gourmel: Fresh and melting notes of white-fleshed fruit. Camus young cognac presents some floral notes, the palate rather fruity and a bit rough, spices and hazlenut and a good balance of wood and very light vanilla as a finish.